We have enjoyed our visits from the Vauxhall and Fountains Children’s Centre. Take a look at some of our experiences during the sessions. 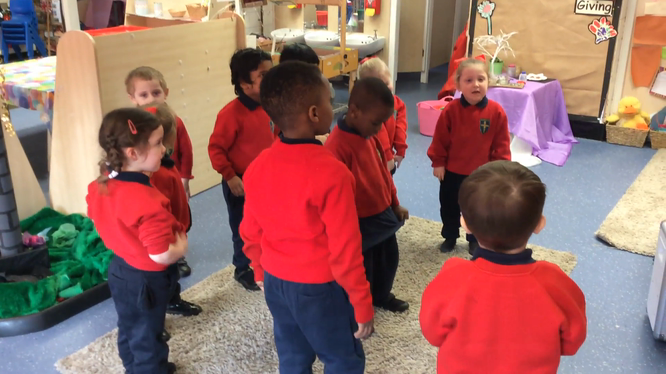 We are singing the Hello song! 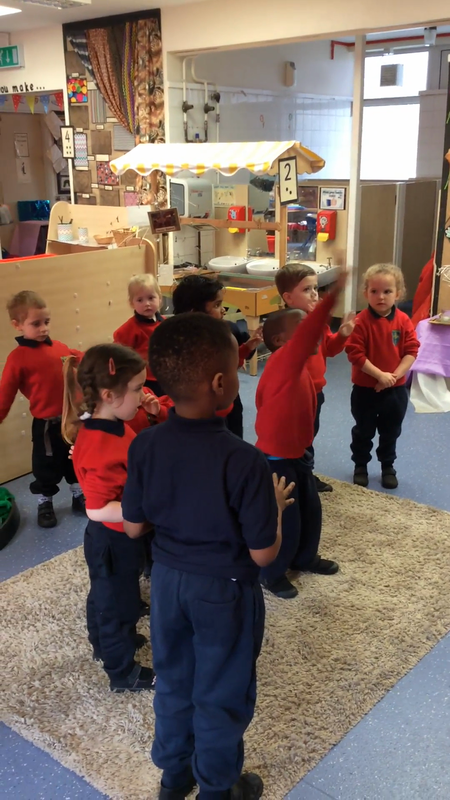 We are singing and dancing. 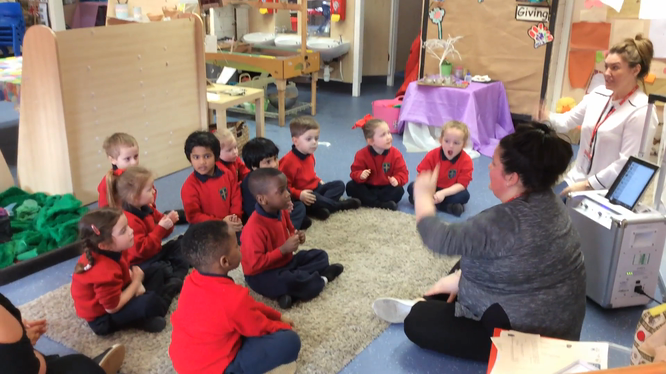 We are creating sounds using instruments. 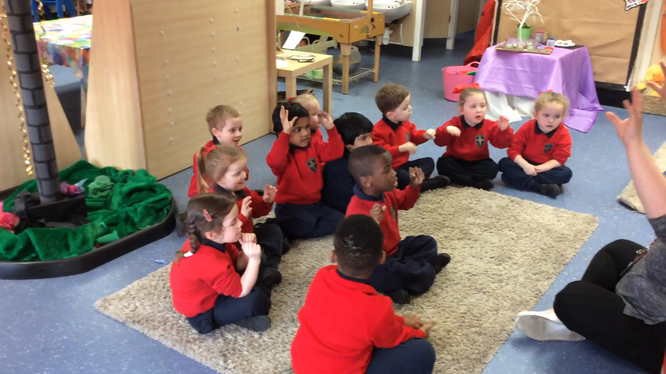 Heads, Shoulders, Knees and Toes is our favourite!